Lord Nigel Crisp is an independent crossbench member of the House of Lords where he co-chairs the All-Party Parliamentary Group on Global Health. 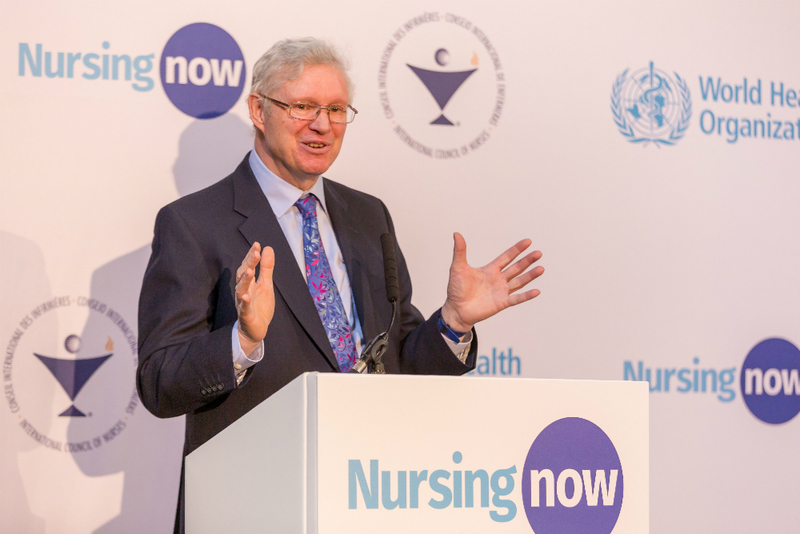 He co-chairs Nursing Now, the global campaign on nursing. Chief Executive of the NHS in England from 2000-2006 he now works and writes extensively on global health with a focus on Africa. His main current interests are global health partnerships, health creation and nursing. The ground breaking Turning the World Upside Down (2010) described as “a decade before its time” showed what richer countries could learn from poorer ones about health. It introduced the idea that we should replace top-down thinking about international development with the concept of co-development – respectful international relationships in which we all learn from each other and learn together to confront our shared future. One World Health (2016) takes this further to describe how health can be improved in our inter-connected and interdependent world. Earlier work on human resources and staffing issues included chairing a taskforce on the education of health workers, Scaling Up, Saving Lives (2008), membership of the Lancet Commission on Health Professionals for a new Century (2010) and the much quoted Global Supply of Health Professionals (2014). Most recently the publication of the Triple Impact of Nursing (2016) shows how developing nursing can lead to health improvement, gender equality and strengthened economies – and has led to the development of Nursing Now, a global campaign for nursing being launched on 27 February 2018.